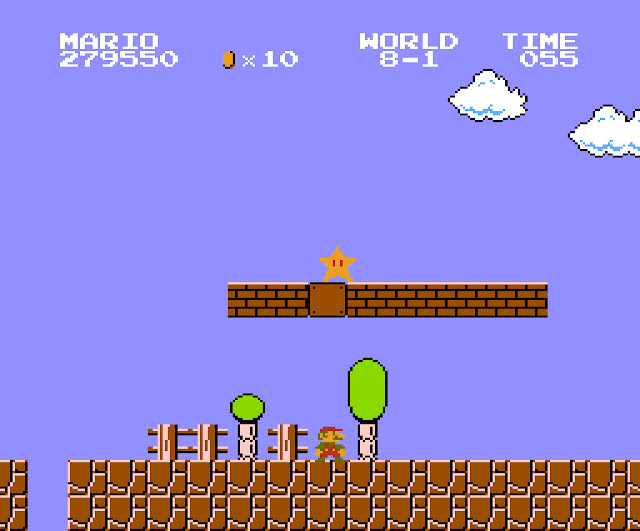 If you've ever played a Super Mario game, there were moments that stuck out to you that you still remember. Here is a list of the greatest Super Mario moments from every single Super Mario game. The enticing question mark block that you hit to reveal a mushroom. When the mushroom is collected, Mario grows into a bigger size. It seems so routine now, but back in 1985 it was a new experience. As a plumber, it makes sense that Mario is around pipes. But to travel down them is something different. When you travel down the first pipe, you find a secret bonus room filled with coins. The flashing star does not disappoint. When collected, it turns Mario into a wrecking machine, knocking and killing everything in his path. Even though you have almost beat the level, there is one last challenge as you try to jump as high on the flagpole as you can. You might even see some fireworks after lowering the flag. In Super Mario Land for the Gameboy in level 2-3 Mario gets to hop on a submarine. He gets to blast away in a shoot'em-up section. Super Mario Bros 2 was a very different game from the original Super Mario Bros. The most notable feature is that the characters can pick turnips out of the ground. Sometimes you'll pull a mushroom or even a potion that leads to a different door. In the original Super Mario Bros, every mushroom is a good power-up mushroom. In Super Mario Bros: The Lost Levels, some of the mushroom are poison mushroom meaning they can kill you. 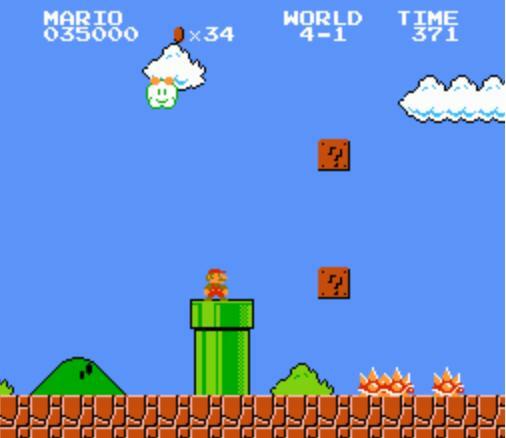 Super Mario Bros 3 had some of the most recognizable power-ups that are still used in Mario games today. One of the best was the Super Leaf. Grabbing the Super Leaf let Mario glide, and even fly, in the air. 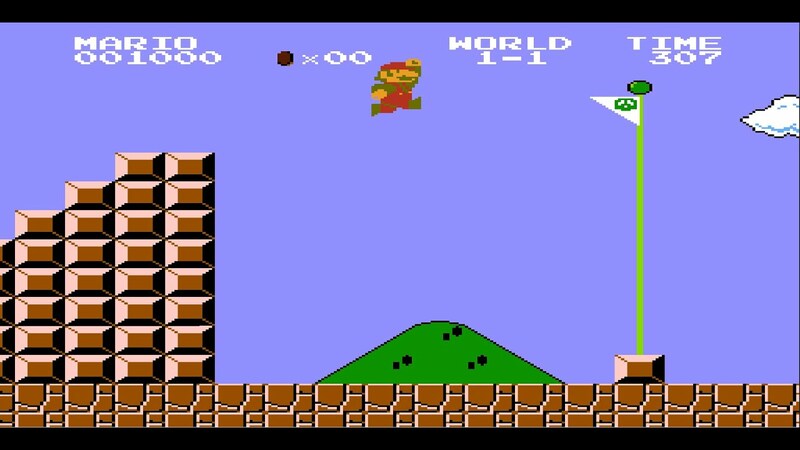 Mario can fly high to reach some hidden parts in the sky. 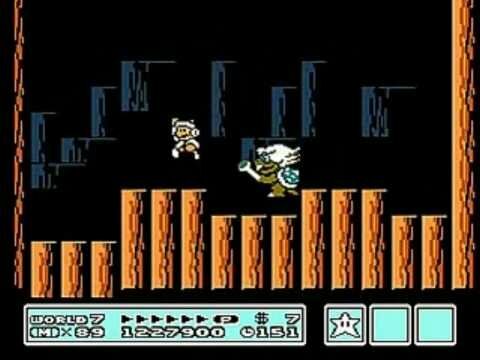 Although Bowser is the responsible villain in Super Mario Bros 3, Mario still had other bosses to fight. Super Mario Bros 3 is the first game where you meet the Koopalings. The Koopalings do all of the dirty work for Bowser who is the last boss waiting at the end. 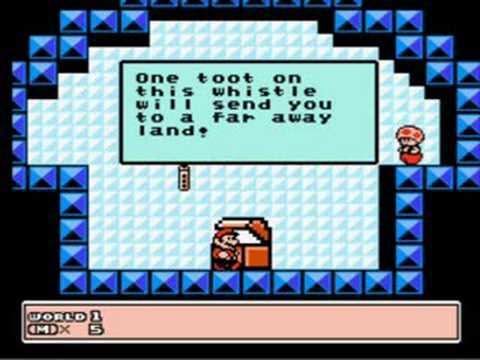 Finding the warp zones in Super Mario Bros 3 was rewarding, but obtaining the warp whistles was even more so. The warp whistles let you warp to different worlds, letting you skip sometimes several worlds. With the new map-type system in Super Mario Bros 3, it opened the series up to in between mini-stages. Toad Houses let you collect power-ups to save for the difficult levels. 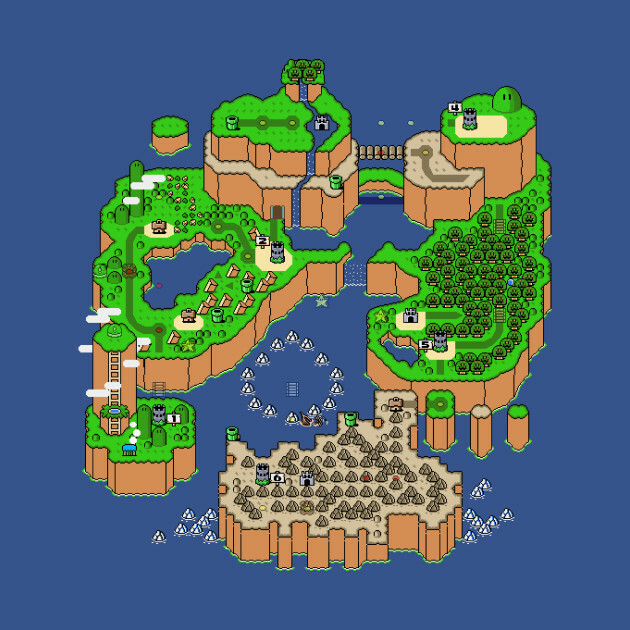 Super Mario Bros 3 did have a map, but Super Mario World is completely different. Mario can view the whole map at once instead of seeing on the world he is currently on. It is an incredibly useful tool to help you through the game. There are many secret levels you can unlock and there are also different areas that are not shown on the map such as the first cave. Finding the secret stages is very rewards in Super Mario World. If you were lucky enough to find the secret Star Road, you felt even more rewarded. After you beat all the levels in Star Road, you unlocked super-secret special stages. They will challenge in the most seasoned Super Mario World players. 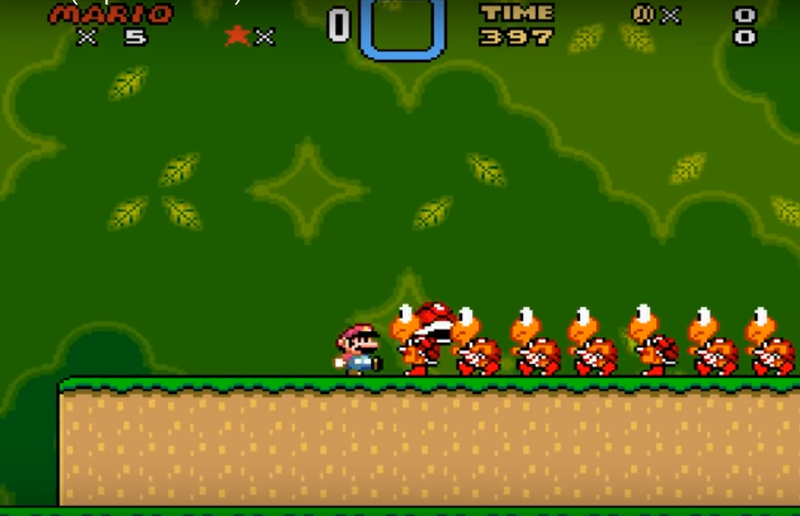 Super Mario world is the first Mario game that lets you revisit previously completed stages. The Switch Palaces are a place where you not only enjoy a room full of coins, but also activates new blocks in old stages. These open previously inaccessible paths. No one can help grabbing the red shell and releasing it right in front of all the red koopas and watching the all die. You get a one up if you can knock all of them. 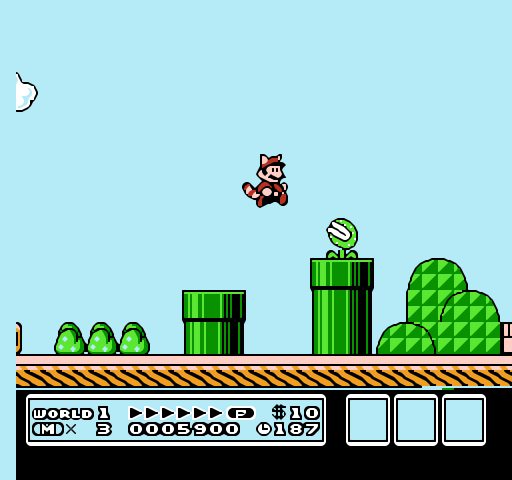 What's your favorite Super Mario moment? Let us know in the comments!